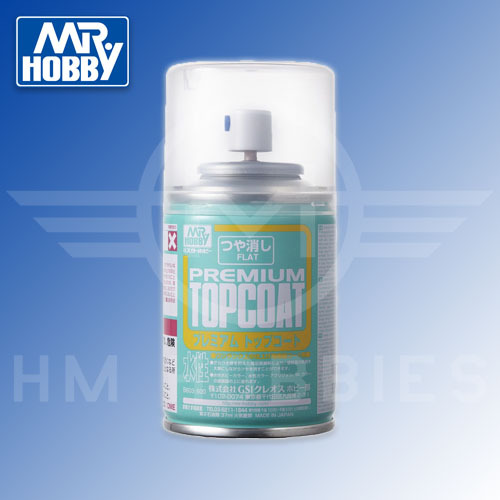 Mr Premium Top Coat Flat Spray varnish in a convenient spray can. Perfect for a quick application without the need to clean your airbrush afterwards. High quality water based matt varnish that can be safely used on surfaces painted with most paints (including acrylics). Specially formulated to minimise the white powdery effect even when the surface gets accidentally flooded that can sometimes occur with matt clear coats.